This part below pertains to Poland. To read the entire text go to the Constitution Society. Pagination applied for easier reading. The most important document for the study of Rousseau’s political theory is the Social Contract, first published in 1762. Because of its largely theoretical and abstract character, however, it gives a rather onesided impression of the nature and scope of the author’s interests in this field. This difficulty can best be remedied by considering it in conjunction with two other works, the Considerations on the Government of Poland and the Constitutional Project for Corsica. Neither of these writings was published during the author’s lifetime, and the second is no more than a fragmentary and unfinished sketch. But in spite of their manifest inferiority to the Social Contract, they are important for the light they throw on the more famous work. Both are attempts by the author himself to apply his abstract theoretical principles to the solution of concrete political problems. This forced him to deal, far more fully than in the Social Contract itself, with the practical implications of his political theory. The result is to clarify the theory itself in many important particulars. The more rewarding of these secondary works is the Considerations on the Government of Poland. Completed in 1772, it is one of the last of Rousseau’s productions, and may be taken as representing his final position in the field of politics. The circumstances which led to its composition were peculiarly challenging. The Republic of Poland was on the eve of the first of the three partitions which led, in the period between 1772 and 1795, to the disappearance of that country from the map of Europe. This tragic phase in the life of a once powerful people had begun in 1764 with the election, under Russian pressure, of Stanislas Poniatowski, a former lover of Catherine the Great, to the recently vacated throne of Poland. For a time it seemed that Poland was about to be absorbed, without effective protest, by the expanding Russian Empire. Russia became involved, however, in a war with Turkey. This gave the Poles a final opportunity for resistance. Anticipating the event, the landowners of Podolia, following the old Polish custom of direct political action, banded together in 1768 to form the Confederation of Bar, an ad hoc organisation dedicated to the reassertion of Polish independence. In spite of Russia’s military intervention on behalf of its puppet government, the influence of the Confederation increased, and in 1769 it was able to convene an assembly with representatives from every section of the Republic. Recognising that extensive reforms would be needed if Poland was to survive as a modern state, this assembly included among its acts a resolution that foreign political theorists be asked to lend their advice. Count Wielhorski, one of the members, was commissioned to approach Rousseau on the matter. 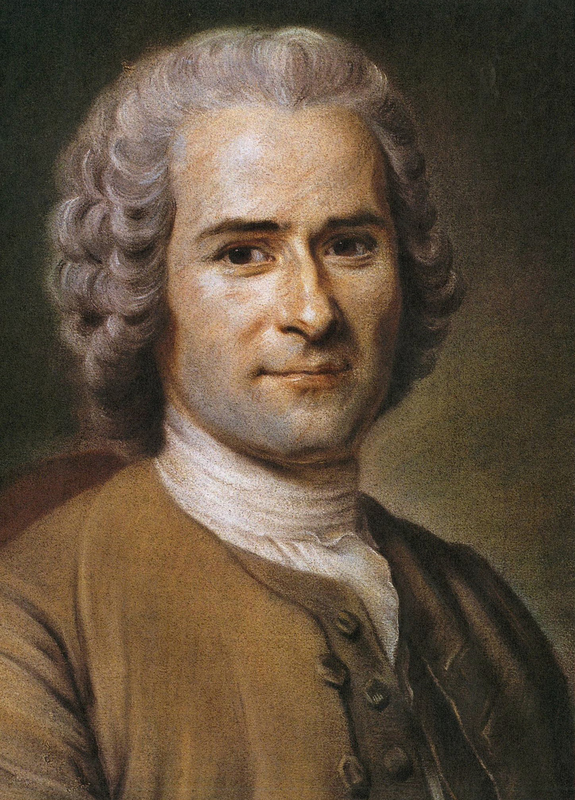 Although Rousseau had always been sceptical as to the possibility of reforming a corrupt society, he could not resist the appeal of a people engaged in a life and death struggle against despotism. On the basis of information on Polish conditions supplied to him by Count Wielhorski, he accordingly undertook to suggest means whereby the healthier elements of the Polish national tradition might be strengthened and a truly viable republic established. The Considerations on the Government of Poland, a manuscript intended not for publication but for private circulation among leaders of the reformist party, was the outcome of this undertaking. It is interesting as a serious and sustained attempt to apply the principles of the Social Contract under conditions which Rousseau himself, though he tried to put up a brave front, was bound to regard as relatively unpromising. COUNT WIELHORSKI’S1 description of the government of Poland, and the comments he has added to it, are instructive documents for anyone who wants to form a regular plan for the reconstruction of that government. I do not know of anyone better suited than he himself to work out such a plan, for along with the requisite general knowledge he possesses all that detailed familiarity with the local situation which cannot possibly be gained from reading, and which nevertheless is indispensable if institutions are to be adapted to the people for whom they are intended. Unless you are thoroughly familiar with the nation for which you are working, the labour done on its behalf, however excellent in theory, is bound to prove faulty in practice; especially when the nation in question is one which is already well-established, and whose tastes, customs, prejudices and vices are too deeply rooted to be readily crowded out by new plantings. Good institutions for Poland can only be the work of Poles, or of someone who has made a thorough first-hand study of the Polish nation and its neighbours. A foreigner can hardly do more than offer some general observations for the enlightenment, but not for the guidance, of the law-reformer. Even when my mind was at its best I would never have been able to comprehend the problem in all its ramifications. Now that I have nearly lost the capacity for consecutive thought, I must confine myself, if I am to obey Count Wielhorski and give evidence of my zeal for his country, to rendering him an account of the impressions made upon me, and of the comments suggested to me, by the perusal of his work. While reading the history of the government of Poland, it is hard to understand how a state so strangely constituted has been able to survive so long. A large body made up of a large number of dead members, and of a small number of disunited members whose movements, being virtually independent of one another, are so far from being directed to a common end that they cancel each other out; a body which exerts itself greatly to accomplish nothing; which is capable of offering no sort of resistance to anyone who tries to encroach upon it; which falls into dissolution five or six times a century; which falls into paralysis whenever it tries to make any effort or to satisfy any need; and which, in spite of all this, lives and maintains its vigour: that, in my opinion, is one of the most singular spectacles ever to challenge the attention of a rational being. I see all the states of Europe rushing to their ruin. Monarchies, republics, all these nations for all their magnificent institutions, all these fine governments for all their prudent checks and balances, have grown decrepit and threaten soon to die; while Poland, a depopulated, devastated and oppressed region, defenceless against her aggressors and at the height of her misfortunes and anarchy, still shows all the fire of youth; she dares to ask for a government and for laws, as if she were newly born. She is in chains, and discusses the means of remaining free; she feels in herself the kind of force that the forces of tyranny cannot overcome. I seem to see Rome, under siege, tranquilly disposing of the land on which the enemy had just pitched camp. Worthy Poles, beware! Beware lest, in your eagerness to improve, you may worsen your condition. In thinking of what you wish to gain, do not forget what you may lose. Correct, if possible, the abuses of your constitution; but do not despise that constitution which has made you what you are. You love liberty; you are worthy of it; you have defended it against a powerful and crafty aggressor who, under the pretence of offering you the bonds of friendship, was loading you down with the chains of servitude. Now, wearied by the troubles of your fatherland, you are sighing for tranquillity. That can, I think, be very easily won; but to preserve it along with liberty, that is what I find difficult It is in the bosom of the very anarchy you hate that were formed those patriotic souls who have saved you from the yoke of slavery. They were falling into lethargic sleep; the tempest has reawakened them. Having broken the chains that were being prepared for them, they feel the heaviness of fatigue. They would like to combine the peace of despotism with the sweets of liberty. I fear that they may be seeking contradictory things. Repose and liberty seem to me to be incompatible; it is necessary to choose between them. I do not say that things must be left in their present state; but I do say that they must be touched only with extreme circumspection. For the time being you are struck rather by their defects than by their advantages. The day will come, I fear, when you will have a better appreciation of those advantages; and that, unfortunately, will be when they are already lost. Although it is easy, if you wish, to make better laws, it is impossible to make them such that the passions of men will not abuse them as they abused the laws which preceded them. To foresee and weigh all future abuses is perhaps beyond the powers even of the most consummate statesman. The subjecting of man to law is a problem in politics which I liken to that of the squaring of the circle in geometry. Solve this problem well, and the government based on your solution will be good and free from abuses. But until then you may rest assured that, wherever you think you are establishing the rule of law, it is men who will do the ruling. There will never be a good and solid constitution unless the law reigns over the hearts of the citizens; as long as the power of legislation is insufficient to accomplish this, laws will always be evaded. But how can hearts be reached? That is a question to which our law-reformers, who never look beyond coercion and punishments, pay hardly any attention; and it is a question to the solving of which material rewards would perhaps be equally ineffective. Even the most upright justice is insufficient; for justice, like health, is a good which is enjoyed without being felt, which inspires no enthusiasm, and the value of which is felt only after it has been lost. How then is it possible to move the hearts of men, and to make them love the fatherland and its laws? Dare I say it? Through children’s games; through institutions which seem idle and frivolous to superficial men, but which form cherished habits and invincible attachments. If I seem extravagant on this point, I am at least whole-hearted; for I admit that my folly appears to me under the guise of perfect reason. WHEN reading ancient history, we seem transported to another world with another breed of men. What do Frenchmen, Englishmen or Russians have in common with the Romans and the Greeks? Almost nothing but their external appearance. The heroic souls of the ancients seem to us like the exaggerations of historians. How can we, who feel that we are so small, believe that there were ever men of such greatness? Such men did exist, however, and they were human beings like ourselves. What prevents us from being like them? Our prejudices, our base philosophy, and those passions of petty self-interest which, through inept institutions never dictated by genius, have been concentrated and combined with egoism in all our hearts. I look at the nations of modern times. I see in them many lawmakers, but not one legislator. Among the ancients I see three outstanding men of the latter sort who deserve particular attention: Moses, Lycurgus and Numa. All three devoted their main efforts to objects which our own men of learning would consider laughable. All three achieved successes which would be thought impossible if they were not so well attested. The first conceived and executed the astonishing project of creating a nation out of a swarm of wretched fugitives, without arts, arms, talents, virtues or courage, who were wandering as a horde of strangers over the face of the earth without a single inch of ground to call their own. Out of this wandering and servile horde Moses had the audacity to create a body politic, a free people; and while they were wandering in the desert without a stone on which to lay their heads, he gave them that durable set of institutions, proof against time, fortune and conquerors, which five thousand years have not been able to destroy or even to alter, and which even to-day still subsists in all its strength, although the national body has ceased to exist. To prevent his people from melting away among foreign peoples, he gave them customs and usages incompatible with those of the other nations; he overburdened them with peculiar rites and ceremonies; he inconvenienced them in a thousand ways in order to keep them constantly on the alert and to make them forever strangers among other men; and all the fraternal bonds with which he drew together the members of his republic were as many barriers keeping them separate from their neighbours and preventing them from mingling with them. That is how this peculiar nation, so often subjugated, so often dispersed and apparently destroyed, but always fanatical in devotion to its Law, has nevertheless maintained itself down to the present day, scattered among but never intermingled with the rest; and that is why its customs, laws and rites subsist, and will endure to the end of time, in spite of the hatred and persecution of the rest of the human race. Lycurgus undertook to give institutions to a people already degraded by slavery and by the vices which follow from it. He imposed on them an iron yoke, the like of which no other people ever bore; but he attached them to and, so to speak, identified them with this yoke by making it the object of their constant preoccupation. He kept the fatherland constantly before their eyes in their laws, in their games, in their homes, in their loves, in their festivals; he never left them an instant for solitary relaxation. And out of this perpetual constraint, ennobled by its purpose, was born that ardent love of country which was always the strongest, or rather the sole, passion of the Spartans, and which turned them into beings above the level of humanity. It is true that Sparta was only a city: but by the mere strength of its institutions, this city gave laws to the whole of Greece, became its capital, and made the Persian Empire tremble. Sparta was the centre from which its legislation spread its influence in all directions. Those who have seen in Numa only a creator of religious rites and ceremonies have sadly misjudged this great man. Numa was the true founder of Rome. If Romulus had done no more than to bring together a band of brigands who could have been scattered by a single set-back, his imperfect work would not have been able to withstand the ravages of time. It was Numa who made it solid and enduring by uniting these brigands into an indissoluble body, by transforming them into citizens, doing this less by means of laws, for which in their state of rustic poverty they still had little need, than by means of attractive institutions which attached them to one another, and to their common soil; he did this, in short, by sanctifying their city with those rites, frivolous and superstitious in appearance, the force and effect of which is so rarely appreciated, and the first foundations of which were nevertheless laid by Romulus, fierce Romulus himself. It was the same spirit that guided all the ancient legislators in their work of creating institutions. They all sought bonds that might attach citizens to the fatherland and to one another; and they found them in peculiar usages, in religious ceremonies which by their very nature were always national and exclusive; in games which kept citizens frequently assembled; in exercises which increased not only their vigour and strength but also their pride and self-esteem; in spectacles which, by reminding them of the history of their ancestors, their misfortunes, their virtues, their victories, touched their hearts, inflamed them with a lively spirit of emulation, and attached them strongly to that fatherland with which they were meant to be incessantly preoccupied. It was the poems of Homer recited before the Greeks in solemn assembly, not on stages in darkened theatres for ticket-holders only, but in the open air and in the presence of the whole body of the nation; it was the tragedies of Aeschylus, Sophocles and Euripides, which were often performed before them; it was the prizes with which, to the acclamations of all Greece, they crowned the victors in their games; all this, by continually surrounding them with an atmosphere of emulation and glory, raised their courage and their virtues to that degree of energy for which there is no modern parallel, and in which we moderns are not even capable of believing. If we have laws, it is solely for the purpose of teaching us to obey our masters well, to keep our hands out of other people’s pockets, and to give a great deal of money to public scoundrels. If we have social usages, it is in order that we may know how to amuse the idleness of light women, and to display our own with grace. If we assemble, it is in the temples of a cult which is in no sense national, and which does nothing to remind us of the fatherland; it is in tightly closed halls, and for money, to see playactors declaim and prostitutes simper on effeminate and dissolute stages where love is the only theme, and where we go to learn those lessons in corruption which, of all the lessons they pretend to teach, are the only ones from which we profit; it is in festivals where the common people, for ever scorned, are always without influence, where public blame and approbation are inconsequential; it is in licentious throngs, where we go to form secret liaisons and to seek those pleasures which do most to separate, to isolate men, and to corrupt their hearts. Are these stimulants to patriotism? Is it surprising that ways of life so different should be so unlike in their effects, and that we moderns can no longer find in ourselves anything of that spiritual vigour which was inspired in the ancients by everything they did? Pray forgive these digressions from one whose dying embers you yourself have rekindled. I shall return with pleasure to a consideration of that people which, of all those now living, least separates me from those ancients of whom I have just been speaking. POLAND is a large state surrounded by even more considerable states which, by reason of their despotism and military discipline, have great offensive power. Herself weakened by anarchy, she is, in spite of Polish valour, exposed to all their insults. She has no strongholds to stop their incursions. Her depopulation makes her almost entirely defenceless. No economic organisation; few or no troops; no military discipline, no order, no subordination; ever divided within, ever menaced from without, she has no intrinsic stability, and depends on the caprice of her neighbours. In the present state of affairs, I can see only one way to give her the stability she lacks: it is to infuse, so to speak, the spirit of the Confederation2 throughout the nation; it is to establish the Republic so firmly in the hearts of the Poles that she will maintain her existence there in spite of all the efforts of her oppressors. There, it seems to me, is the only sanctuary where force can neither reach nor destroy her. An ever-memorable proof of this has just been given; Poland was in the bonds of Russia, but the Poles have remained free. A great example, which shows you how to set at defiance the power and ambition of your neighbours. You may not prevent them from swallowing you up; see to it at least that they will not be able to digest you. No matter what is done, before Poland has been placed in a position to resist her enemies, she will be overwhelmed by them a hundred times. The virtue of her citizens, their patriotic zeal, the particular way in which national institutions may be able to form their souls, this is the only rampart which will always stand ready to defend her, and which no army will ever be able to breach. If you see to it that no Pole can ever become a Russian, I guarantee that Russia will not subjugate Poland. Today, no matter what people may say, there are no longer any Frenchmen, Germans, Spaniards, or even Englishmen; there are only Europeans. All have the same tastes, the same passions, the same manners, for no one has been shaped along national lines by peculiar institutions. All, in the same circumstances, will do the same things; all will call themselves unselfish, and be rascals; all will talk of the public welfare, and think only of themselves; all will praise moderation, and wish to be as rich as Croesus. They have no ambition but for luxury, they have no passion but for gold; sure that money will buy them all their hearts desire, they all are ready to sell themselves to the first bidder. What do they care what master they obey, under the laws of what state they live? Provided they can find money to steal and women to corrupt, they feel at home in any country. Incline the passions of the Poles in a different direction, and you will give their souls a national physiognomy which will distinguish them from other peoples, which will prevent them from mixing, from feeling at ease with those peoples, from allying themselves with them; you will give them a vigour which will supplant the abusive operation of vain precepts, and which will make them do through preference and passion that which is never done sufficiently well when done only for duty or interest. These are the souls on which appropriate legislation will take hold. They will obey the laws without evasion because those laws suit them and rest on the inward assent of their will. Loving the fatherland, they will serve it zealously and with all their hearts. Given this sentiment alone, legislation, even if it were bad, would make good citizens; and it is always good citizens alone that constitute the power and prosperity of the state. I shall expound hereafter the system of government which, with little fundamental change in your laws, seems to me to be capable of bringing patriotism and its attendant virtues to the highest possible degree of intensity. But whether or not you adopt this system, begin in any case by giving the Poles a great opinion of themselves and of their fatherland: given the qualities they have just been displaying, this opinion will not be false. The circumstances of the present moment must be used to elevate souls to the level of the souls of the ancients. It is certain that the Confederation of Bar has saved the dying fatherland. This great epoch must be engraved in sacred letters on every Polish heart. I should like to see a monument erected in its memory; let there be placed upon it the names of all the confederates, even of those who may thereafter have betrayed the common cause. So great an action ought to wipe out the faults of a whole lifetime. Let a decennial solemnity be instituted to celebrate it with a pomp not brilliant and frivolous, but simple, proud and republican; there let eulogy be given, worthily but without exaggeration, to those virtuous citizens who have had the honour to suffer for the fatherland in the chains of the enemy; let their families even be granted some honorific privilege which will constantly recall this great memory before the eyes of the public. I should not wish, however, that any invectives against the Russians, or even any mention of them, be permitted at these solemnities; it would be doing them too much honour. This silence, the memory of their barbarity, and the eulogy of those who resisted them, will say all that needs to be said about them: you must despise them too much to hate them. I should wish that, by honours and public rewards, all the patriotic virtues should be glorified, that citizens should constantly be kept occupied with the fatherland, that it should be made their principal business, that it should be kept continuously before their eyes. In this way, I confess, they would have less time and opportunity to grow rich; but they would also have less desire and need to do so. Their hearts would learn to know other pleasures than those of wealth. This is the art of ennobling souls and of turning them into an instrument more powerful than gold. The brief description of Polish manners so kindly forwarded to me by M. de Wielhorski does not suffice to familiarise me with their civil and domestic usages. But a great nation which has never mingled too much with its neighbours must have many such which are peculiar to itself, and which perhaps are daily being bastardised by the general European tendency to adopt the tastes and manners of the French. It is necessary to maintain, to re-establish these ancient usages, and to introduce other appropriate ones which will be peculiar to the Poles. These usages, even though they may be indifferent or even in some respects bad, provided that the vice be not radical, will always have the advantage of making Poles love their country, and of giving them a natural repugnance to mingling with foreigners. I consider it fortunate that they have a peculiar mode of dress. Preserve this advantage carefully: do exactly the opposite of what was done by that highly-touted Czar.3 Let neither the king nor the senators nor any public figure wear anything but the national costume, and let no Pole venture to appear at court dressed in the French fashion. Have many public games, where the good mother country is pleased to see her children at play! Let her pay frequent attention to them, that they may pay constant attention to her. In order to set a good example, it is necessary to abolish, even at court, the ordinary amusements of courts, gambling, drama, comedy, opera; all that makes men effeminate; all that distracts them, isolates them, makes them forget their fatherland and their duty; all that makes it possible for them to be happy anywhere as long as they are entertained. You must invent games, festivals and solemnities so peculiar to this particular court that they will be encountered in no other. People in Poland must be entertained even more than in other countries, but not in the same manner. In a word, the execrable proverb must be reversed, and every Pole made to say from the bottom of his heart: Ubi patria, ibi bene. Nothing, if possible, exclusively for the rich and powerful! Have many open-air spectacles, where the various ranks of society will be carefully distinguished, but where the whole people will participate equally, as among the ancients, and where, on certain occasions, young noblemen will test their strength and skill! Bullfighting has contributed no little to the maintenance of a certain vigour within the Spanish nation. Those amphitheatres in which the youth of Poland formerly took their exercise ought to be carefully re-established; they ought to be made theatres of honour and emulation for these young people. Nothing could be easier than to replace the earlier combats with less cruel exercises in which strength and skill would nevertheless still play a part, and in which the victors would continue to win honours and rewards. Horsemanship, for example, is a highly suitable exercise for Poles, and readily lends itself to brilliant public spectacles. The heroes of Homer were all distinguished by their strength and skill, and thereby demonstrated in the eyes of the people that they were fit to lead them. I The tournaments of the paladins made men not only brave and courageous, but also eager for honour and glory, and ripe for every virtue. The use of firearms, by making the bodily faculties less useful in war, has caused them to fall into discredit. From this it follows that, apart from qualities of the spirit, which are often equivocal and misplaced, on which there are a thousand ways of being deceived, and of which the people are poor judges, a man with the advantage of good birth has nothing to distinguish him from anyone else, to justify his fortune, to demonstrate in his person a natural right to superiority; and the more these exterior signs are neglected, the easier it is for those who govern us to grow corrupt and effeminate with impunity. It is important, however, and even more important than we imagine, that those who are one day to command others should from their youth show themselves to be superior in all respects, or at least that they should try to do so. It is good, moreover, that the people should be together with their leaders on pleasurable occasions, that they should know them, that they should be accustomed to seeing them, and that they should often share their pleasures. Provided that subordination is always preserved, and that distinctions of rank are not lost sight of, this is the way to make them love their leaders, and to combine respect with affection. Finally, a taste for physical exercise diverts people from dangerous idleness, effeminate pleasures, and frivolous wit. It is above all for the sake of the soul that the body should be exercised: a fact which our petty sages are far from recognising. Be sure not to neglect the need for a certain amount of public display; let it be noble, imposing, with a magnificence which resides rather in men than in things. It is hard to believe to what an extent the heart of the people follows its eyes, and how much it is impressed by majestic ceremonial. This lends authority an air of law and order which inspires confidence, and divorces it from the ideas of caprice and whimsicality associated with arbitrary power. In preparing these solemnities, however, you must avoid the frippery, the garishness and the luxurious decorations usually found in the courts of kings. The festivals of a free people should always breathe an air of gravity and decorum, and objects worthy of esteem should alone be offered for popular admiration. The Romans, in their triumphs, displayed enormous luxury, but it was the luxury of the vanquished; the more it shone, the less did it seduce; its very brilliance was an excellent lesson for the Romans. The captive kings were bound with chains of gold and precious stones. That is a proper understanding of luxury. Often it is possible to reach the same goal by two opposite routes. The two woolsacks placed before the seat of the Chancellor in the British House of Lords strike me as a touching and sublime decoration. Two sheaves of wheat similarly placed in the Polish Senate would produce an effect no less pleasing to my taste. The immense disparities of fortune which divide the magnates from the lesser nobility constitute a great obstacle to the reforms needed to make love of country the dominant passion. As long as luxury reigns among the great, cupidity will reign in all hearts. The object of public admiration and the desires of private individuals will always be the same; and if one must be rich in order to shine, to be rich will always be the dominant passion. This is a great source of corruption, which must be diminished as much as possible. If other attractive objects, if signs of rank, distinguished men in official position, those who were merely rich would be deprived of them; hidden ambitions would naturally seek out these honourable distinctions, that is to say, distinctions of merit and virtue, if they were the only road to success. The consuls of Rome were often very poor, but they had their lictors; the distinction of having lictors was coveted by the people, and the plebeians attained the consulship. Where inequality reigns, I must confess, it is very hard to eliminate all luxury. But would it not be possible to change the objects of this luxury and thus make its example less pernicious? For instance, the impoverished nobility of Poland formerly attached themselves to the magnates, who gave them education and subsistence as retainers. There you see a truly great and noble form of luxury, the inconveniences of which I fully recognise, but which, far from debasing souls, elevates them, gives them sensibility and resilience; among the Romans, a similar custom led to no abuses as long as the Republic endured. I have read that the Duc d’Épernon, encountering one day the Duc de Sully, wanted to pick a quarrel with him; but that, having only six hundred gentlemen in his entourage, he did not dare attack Sully, who had eight hundred. I doubt that luxury of this sort leaves much room for baubles; and the example it gives will at least not serve to seduce the poor. Bring back the magnates of Poland to the point of desiring no other form of luxury; the result may be divisions, parties, quarrels; but the nation will not be corrupted. In addition, let us tolerate military luxury, the luxury of arms and horses; but let all effeminate adornments be held in contempt; and if the women cannot be persuaded to abandon them, let them at least learn to disdain and disapprove of them in men. Furthermore, it is not by sumptuary laws that luxury can be successfully extirpated; it is from the depth of the heart itself that you must uproot it by impressing men with healthier and nobler tastes. To forbid things is an inept and vain expedient, unless you begin by making them scorned and hated; and the disapprobation of the law is efficacious only when it reinforces that of the public. Whoever concerns himself with the problem of creating institutions for a people ought to know how to direct opinion, and thus to govern the passions of men. This is true above all in the matter of which I am now speaking. Sumptuary laws serve rather to stimulate desire by constraint than to extinguish it by punishment. Simplicity of manners and adornment is the fruit not so much of law as of education.